Truckee Meadows Water Authority (TMWA) has received the “Presidents Award” from the Partnership for Safe Water (PSW). With this award, TMWA’s Chalk Bluff Water Treatment Plant ranks among the highest performing water treatment plants in the country for individual filter performance. Only 18 utilities across the country have achieved this award. “Reaching Presidents Award status is a very significant achievement in our ongoing work to meet water quality performance goals,” said Mark Foree, TMWA General Manager. TMWA produces high-quality water for more than 380,000 residents in the Reno-Sparks area. “By joining the ranks as one of only 33 treatment plants in the country, we have taken a large step toward achieving this goal. Special recognition must go to Paul Miller, our Manager of Water Quality and Operations, as well as the entire water quality and operations team, for their hard work and commitment to delivering high-quality water,” Foree added. According to the Partnership, the Chalk Bluff Water Treatment Facility is among an elite group of water treatment plants to achieve this award. The award signifies the highest possible level of performance that can be achieved in the four-phased program. The Presidents Award recognizes achieving Phase IV’s very stringent individual filter performance goals for turbidity. TMWA received the treatment program’s Directors Award in 2013. 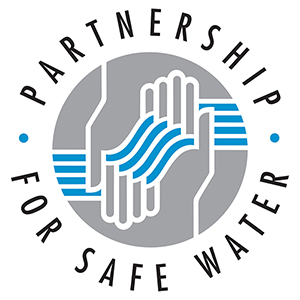 The Partnership for Safe Water is a voluntary self-assessment and optimization program for water treatment plant and distribution system operation. Each assessment step has taken approximately 18 months to complete.